Ten years ago. Frank Lopez is about to go riding around on a metal-bottomed landing craft in the middle of a lightning storm on Apalachicola Bay in Florida. The lightning will not be the most dangerous part. Not by far. He’s touring the field facility and research projects along an island in Apalachicola National Estuarine Research Reserve as part of a national reserve system meeting. The air’s thick — that early summer Gulf Coast soup — and everybody’s sweating, thoroughly, as they disperse across the little island’s shoreline or investigate inland. Without warning, mystery stirs the afternoon. The boat captain calmly but insistently starts rounding up his passengers and telling them to please hop aboard and maybe to hop aboard without delay. They really need to get back to the mainland, yes, clear across on the other side of the bay, and it wouldn’t be a bad idea if people more or less hurried. To their credit, everybody diligently makes their way through the grasses and sand and muck. Soon the captain takes the landing craft back out onto the cobalt water, now under the sort of suddenly dark sky that only arrives in black and white films with a feverish string quartet. It’s obvious the field experiments are about to be replaced by some real-life meteorology. On cue, the storm hits in full, as if Fate had been lying in wait until the little boat had made the open water. Lightning cracks through eyelids, thunder rattles eardrums, rain whips faces. The ominous journey across Apalachicola Bay was almost exactly one decade before Frank Lopez would become the new extension director for North Carolina Sea Grant and the state’s Water Resources Research Institute. “We’re lucky Frank made it out of Florida,” says Susan White, executive director of both programs. In fact, anyone who has heard this story is reasonably certain Frank Lopez should’ve been deposited over the rainbow instead of going on to head a group of specialists 10 years later who, among a long roster of other responsibilities, are helping North Carolinians plan for natural hazards. The variety of waterspouts that touch down during thunderous weather are, after all, notoriously violent. At the minimum, most people agree, Frank Lopez might have been lucky not to have been electrocuted. Yet, Mother Nature had something even more interesting in store for him and his fellow passengers that day on Apalachicola Bay. At the time, Lopez was program administrator for the Old Woman Creek National Estuarine Research Reserve in Ohio, roughly 1,000 miles to the north of the bay. Some days he would kayak to work. He capitalized on the reserve’s location, nuzzled as it is against a Great Lake, to help make Old Woman Creek a valuable pilot site for scientists and educators. 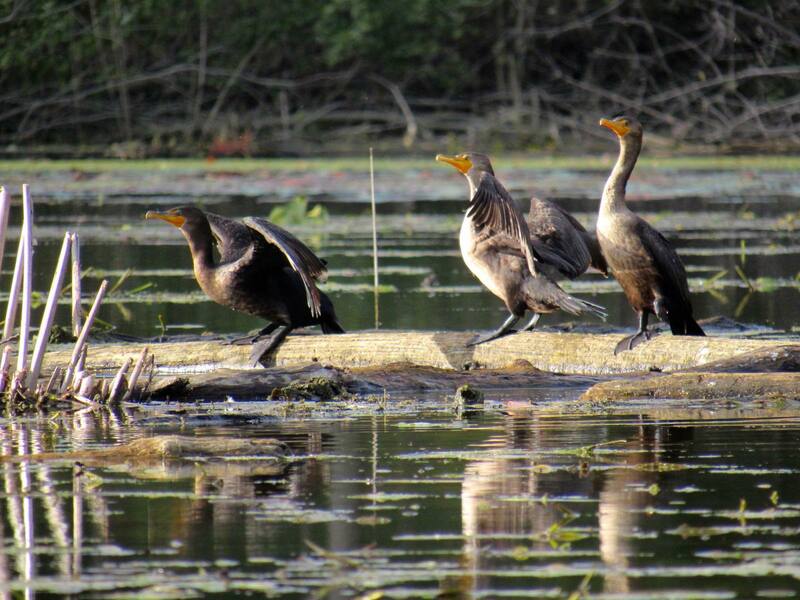 The National Estuarine Research Reserve System operates as a state and federal partnership, and by design the reserves serve as field laboratories that explore estuaries and how humans affect them. As part of the Coastal Zone Management Act of 1972, coastal and Great Lakes states had opportunities to establish these marine protected areas, which today function as platforms for research and education. 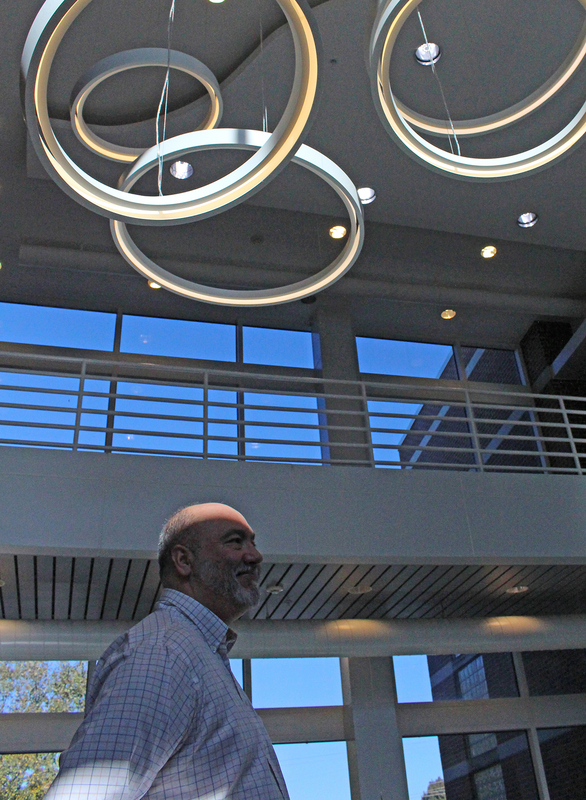 At Old Woman Creek, in addition to managing research and education programs — and the facilities — Lopez regularly collaborated with decision-makers. It’s a commonality that he says serves him well at North Carolina Sea Grant and the Water Resources Research Institute. It was also why, in the middle of his 15-year stint at Old Woman Creek, he trekked down from Ohio to Florida and out across a bay under searing sunshine to see firsthand how the Apalachicola National Estuarine Research Reserve was developing its infrastructure. How was that reserve attracting scientists and educators to its estuaries? “I’ve always been an administrator,” he says, “but you never pass up an opportunity to get out in the field and experience it.” This was the very journey, of course, which, unbeknownst to him, would become a race against a waterspout. The Apalachicola Reserve comprises over 12,000 acres and includes Little St. George Island, the St. Joseph Bay State Buffer Preserve, and land bordering Apalachicola Bay. Its mission includes restoring habitats, protecting rare or endangered species, and helping to maintain biodiversity in and around the bay. At one point most of the oysters that people consumed in the U.S. came out of Apalachicola Bay. The fishery has since crashed, but it was still a productive system at the time he was visiting the field site for the reserve system meeting. After the captain calmly had gathered up his passengers, and after they set out on their return trip across the bay, under charcoal sky, through lightning and lashing rain, there was no way to know, of course, that one day years later Frank Lopez would actually thank that boat captain for saving his life. Although lightning zigzagged and rain pelted the landing craft, as far as any of the non-­Floridians aboard the boat that afternoon could tell, there weren’t any waterspouts in sight. Not yet, anyway. In the end, it seemed almost as if Mother Nature had a plan when she spared Frank Lopez and sent him back to Old Woman Creek. Recently, in fact, The Friends of Old Woman Creek presented him with their annual Hero Award for outstanding stewardship of the reserve over his entire tenure there. After returning from Florida, he had continued to build partnerships, and, among other successful initiatives, he developed a signature watershed program. His explanation of watersheds is so easily digestible it seems more like a simple reminder: No matter where you place your feet on the planet, you’re standing on a watershed. Whatever actions you take are going to have an impact on our water resources. His new role as extension director for North Carolina Sea Grant and the state’s Water Resources Research Institute brings synergy that allows for a focus on entire watersheds, and, he adds, on all of the things water provides for people. At Old Woman Creek, he also helped decision-makers address stormwater management. But management wasn’t even his first professional love. Geographically, the famous wind-torn corridor shifted eastward with climate change after his youth. But he spent his second night on earth sleeping soundly in a storm cellar in Potter County, Texas, during a tornado warning, while hail pelted the old sheet metal door. Over the course of his childhood, he took refuge in the cellar many more times, and as a college student, he worked for a local TV crew that once filmed a Plymouth minivan spinning in a twister in Plainview, Texas. He offers no hint at all that anything from his formative years or the episode on Apalachicola Bay might have soured him in any way to the entire topic of hazards. As a grad student, he learned about the North Carolina coast and issues its residents face. Through North Carolina Sea Grant, he also successfully applied to be a National Oceanic and Atmospheric Administration Coastal Management Fellow, which took him to South Carolina’s coastal management program. His role as extension director has involved a wide swath of work on coastal ecosystems, marine education, community resilience and many other areas, all of which he has embraced. But where better than North Carolina to apply an interest in addressing coastal hazards? North Carolinians are already seeing the signs. Frank Lopez will tell you he isn’t the typical candidate for a career in coastal management and a professional life that offers water no matter which direction he turns. Nor is he someone who you’d ever expect to find on a boat in a thunderstorm in the first place. Although he’s no stranger to wind, the Tornado Alley of his childhood covered much of the relatively dry, landlocked Texas Panhandle. And the trip to the reserve on Apalachicola Bay? “That’s a memorable one,” he smiles. 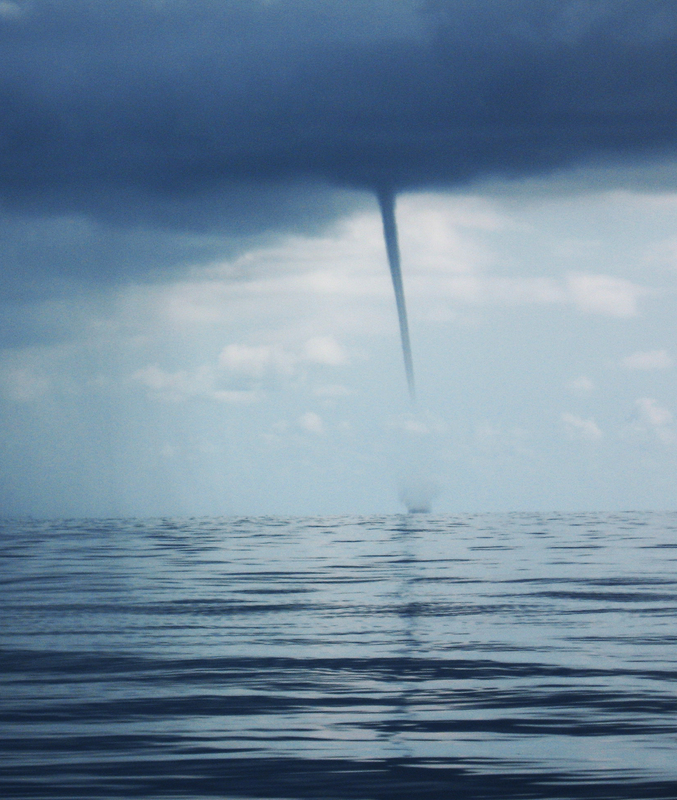 Waterspout lore and waterspout science sometimes — but certainly not always — intersect. Reportedly, water-born funnels have swept up entire schools offish and rained them on land. People often misperceive fair-weather spouts as relatively benign, and although these certainly are weaker than their land-roving counterparts, they still can be dangerous. A popular YouTube video even features a daredevil with an outboard who attempts an ill-advised “ride” on one. The viewer will have to take his word for it, because the camera inexplicably films the boat’s floorboards at the moment of truth. 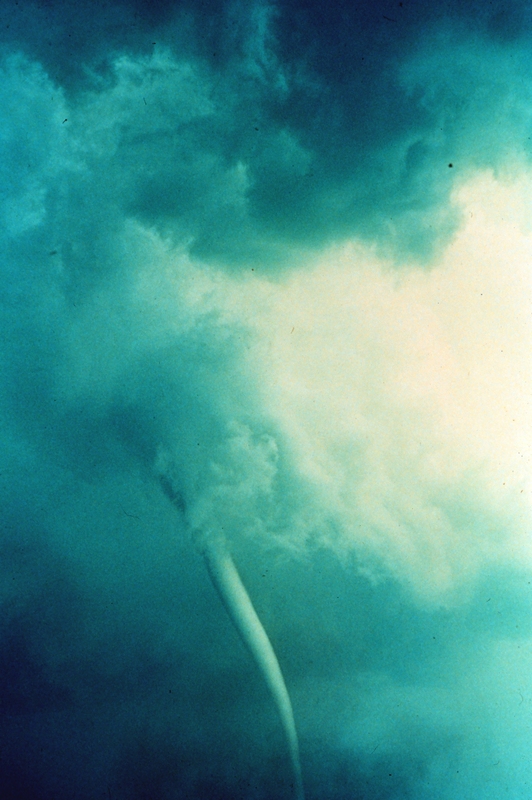 However, tornadic waterspouts, which occur off-shore in tandem with thunderstorms, are less ambiguously lethal. While the passengers had only begun to appreciate their captain’s piloting skills, he quickly found temporary refuge for them from the storm. “He pulled us off into a ‘crack house,” in Florida’s common vernacular of the time. “An oyster shucking house. And there we stood crammed against the wall while the water came down in buckets for about 20 minutes”. But why, we might ask, didn’t that waterspout consume Frank Lopez a decade ago? Was it luck? Fate? Piloting skill? Consider how he describes his own career. And consider his excitement for his new role in North Carolina. To add to waterspout lore: Maybe the reason Frank Lopez wasn’t whipped off Apalachicola Bay 10 years ago was that it would have been redundant. After all, a twister had already taken him. The tornado of his own interests had already plucked him from a bone-dry county in Texas and dropped him into a career where water is everywhere. This article was published in the Autumn 2018 issue of Coastwatch. For reprint requests, click here.